Good News! Sean Spicer CHANGES THE LOCKS on THESE Lying, Fake Journalists! Wait, one more time…. BOOOOOOOOOOOM! 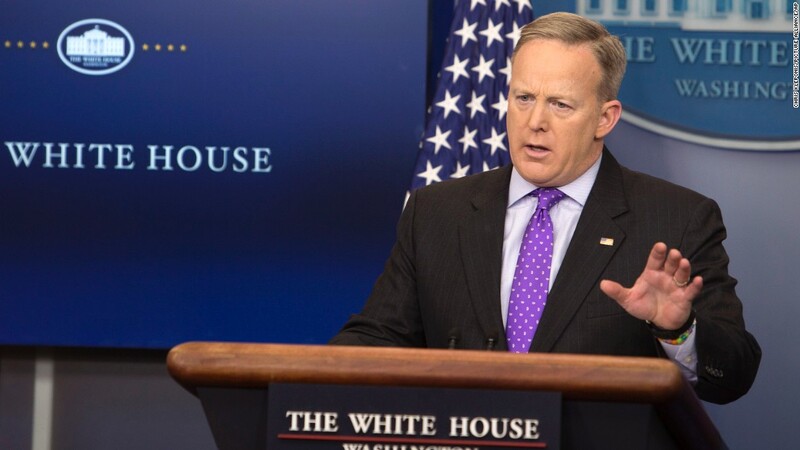 Sean Spicer, our new White House Press Secretary, just sent the media into a frenzy firestorm when several news outlets were BARRED, RESTRICTED, CUT-OFF from attending the White House press briefing. Today is a good day folks. Today is a good, good day. In place of the regularly scheduled conference in the James S. Brady Briefing Room, Sean Spicer chose to go ahead and host an informal press meeting in his office. However, when it was time for the briefing to start, there were certain outlets that found themselves banned from entering. Teehee…it brings me joy to imagine them twisting in disbelief like they were naughty kids that just got their lollipop stolen from them. The New York Times reported that journalists from their organization, as well as journalists from CNN and Politico, were prohibited from entering the press secretary’s office for the briefing. In: Breitbart, The Washington Times, One America News Network, Reuters, Bloomberg, NBC, ABC, FOX, and CBS (which, per Dave Lee of the BBC, agreed to share audio with the excluded press). Out: NYT, Politico, BBC, LA Times, Buzzfeed, The Hill, Daily Mail, New York Daily News, and most of the foreign press — plus, the AP and Time boycotted the gaggle upon learning of the restrictions. The Trump administration has consistently been at odds with certain members of the press. Representatives of the administration have never been afraid to openly feud with certain news outlets, but the decision to prevent certain outlets from having access to the press secretary is a step further than previous actions. In its report on the incident, The New York Times singles out the inclusion of certain conservative-leaning outlets that were permitted to attend Friday’s briefing, such as Breitbart News, the Washington Times, and One America News Network. The majority of journalists from other outlets that cover the White House were permitted to attend, but Time Magazine and the Associated Press protested the decision by not attending. The decision to restrict access from certain members of the press comes just hours after President Donald Trump railed against perceived unfair media coverage at the Conservative Political Action Conference (CPAC). At that event, he qualified that he believes “fake news” is the enemy of the American people and not the entire press. There are people on both sides stating that this method is wrong. However, the truth is…if you want change, you can’t expect to do the same thing and get it. You must actually change, do things differently. We want truth? We want a presidential administration that is honest and open? Then we must cut out the middlemen that are twisting stories and get the story straight the first time. I support President Trump’s twitter account and the way they are dealing with ‘fake news outlets’ …. they were not kidding when they said drain the swamp.